ScreenWipe is a UK supplier of promotional products. Our core range is microfibre screen cleaners to remove dust, smears and dirt from the delicate screens of mobiles, pads, PDAs, digital cameras, portable consoles, laptops, monitors, notebooks and televisions. These screen cleaners come in many different shapes and sizes. They can all be customised making them ideal promotional tools, suitable for use as corporate gifts, promotional gifts, promotional merchandise, promotional incentives and promotional giveaways. Microfibre screen cleaners are an effective way to get your company in front of your customers. 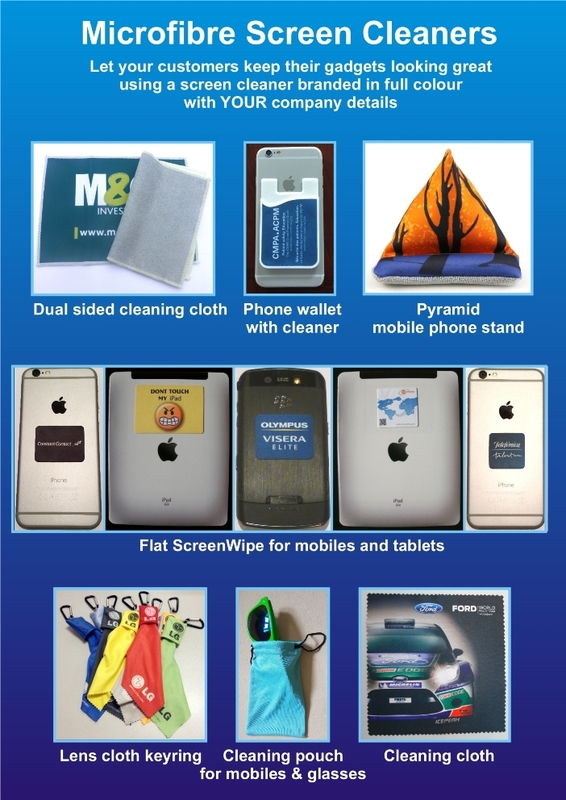 LATEST SCREEN CLEANER - Flat ScreenWipe - the sticky cleaner for mobile phones. ScreenWipes are perfect for mobile marketing campaigns. A ScreenWipe printed with your logo and text number acts as a visual reminder of your brand every time the mobile is used. We also offer a range of promotional pens with a difference. These pens offer something extra - from a printed banner hidden inside the pen barrel, to a pen barrel that lights up, to a pen with a built in projector. Webcam covers - Cyber Security you can put your name on. 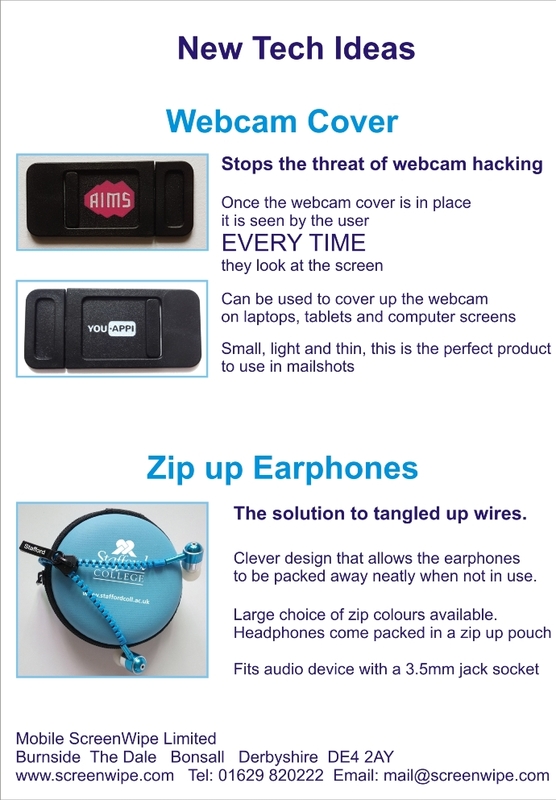 Zippy earphones - the solution to tangled up earphones. Our products are ideal for use as POS promotional tools to help brand builders raise awareness and boost sales. Please look around our website. If you would like a sample of any of our promotional products please email us with your contact details and postal address.